Recently, I started reading more books on writing. Generalizing, I find there’s not a lot that’s new conceptually for me (which explains why I didn’t read writing books much before). However, buried beneath more familiar advice I always find something especially worthwhile, whether it’s a truly new perspective or merely an original phrasing of an already accepted idea. There are several approaches to writing about writing. I very much believe that writing advice and discussions can be subdivided into three categories: business, craft, and philosophy. Business is more about the publishing industry than actually about writing a story. Craft is more about, well, writing the story. And philosophy is more about mindset and is often motivational: how to keep your spirits up in a rejection filled business, etc. 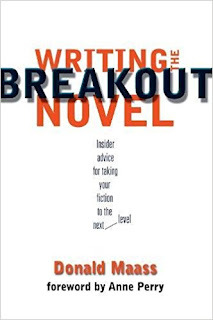 In particular, Maass focuses a lot on how to write engaging stakes, characters, and conflict. He phrases some of his stakes advice in uniquely accessible terms. As for characters, he breaks down exactly what makes us invest in individual characters, both protagonists and antagonists. With conflict, he lists the disparate elements of conflict that must each work well to fuse into a can’t-put-down story. I made note of two opinions with which I very much agree. 1. Don’t write what you know; write what you care about. I’ve heard that advice before and it changed how I write. Your passion for any topic will seep into the story far more effectively than your apathy for anything you think “should be” exciting. 2. 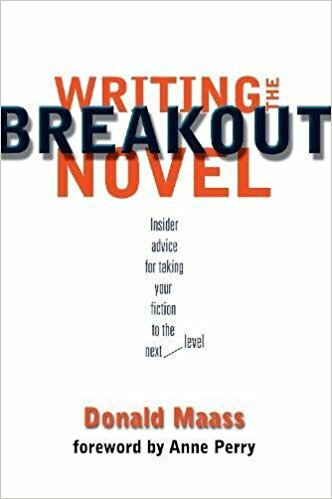 The craft of writing is only a mystery as much as we let it be; it can be broken down into a science and the data we collect used to deliberately create bestsellers. I have never much been a fan of the elusive muse mindset that makes accountability for one’s work external. I, too, believe you can deconstruct what’s working and what’s not and use this evidence to more scientifically, not mysteriously, improve your work. I believe long-time writers, myself included, often fall into the trap of thinking someone has nothing new to tell us. That’s pretty much never true. As this very book tells us, we’re all telling the same stories again and again but the same thing said in a slightly different way can still be revolutionary.